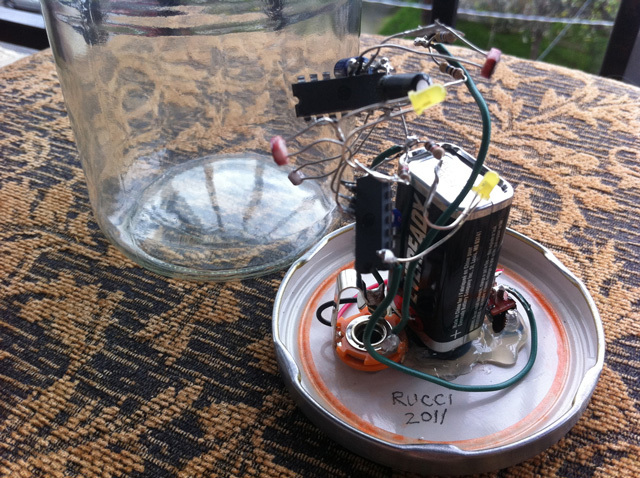 Built in a jar using some salvaged components, this dual square-wave oscillator has an LFO controlled stutter effect. The pitch of each square-wave and speed of the LFO are controlled by outside light sources hitting the three light sensors inside. 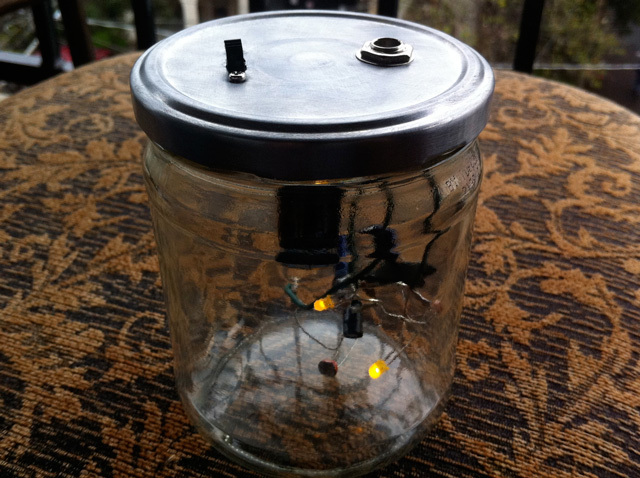 All of the components are built in a floating circuit that hangs from the lid of the jar. 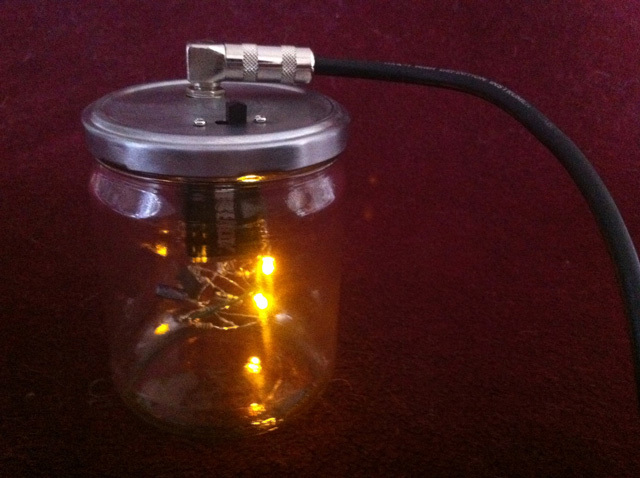 There is a yellow LED to indicate power and a second that flashes in time with the LFO. 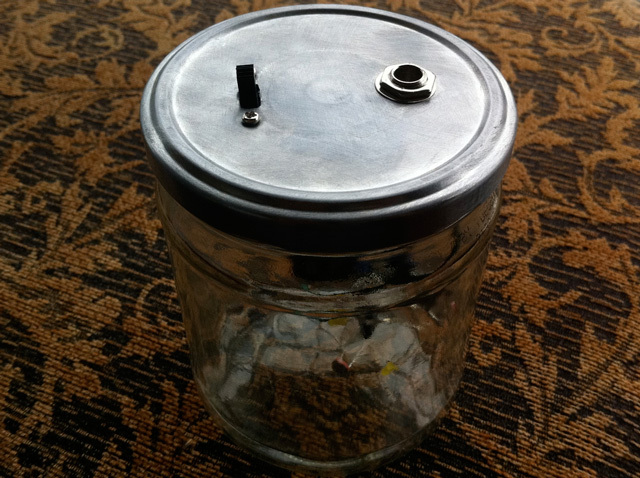 There is a single switch on top for power which is supplied by an 9v battery, and a 1/4″ output jack.